Choosing the right spouse is no easy task. The lead character in You’re the Cream in My Coffee brings us up to date on her love life over at Miss Marjorie’s Jazz Age Journal. Pop on over and let her know what you think of her choice. Marrying for security is a good idea . . . isn’t it? Especially when you’re practically an old maid at 26? And especially since marrying for “love” might involve Mr. Wrong? Don’t be extravagant. Nothing appeals more strongly to a man than the prospect of economic independence. I didn’t have the opportunity to raise any children. But if I had, I’ve always thought that a child’s entry into young adulthood must be one of the most interesting times to be a parent: the most potentially rewarding, and yet the most weighted with worry. My own young adult years were fraught with choices and decisions that affected the future in profound ways, while at the same time, emotions ran high and maturity was perhaps not as fully formed as I hoped it was. For these reasons, Mildred Walker’s 1944 novel Winter Wheat appealed to me. Winter Wheat chronicles two years in the life of Ellen Webb. 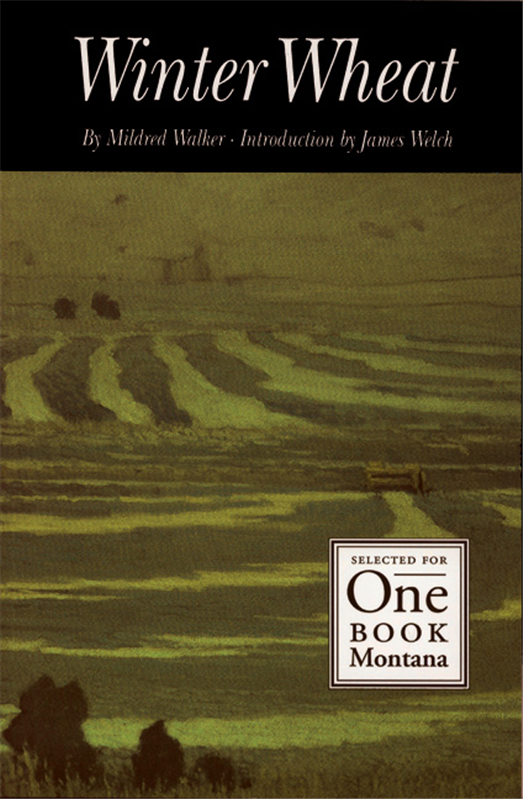 Growing up on a dry-land wheat ranch in central Montana’s Big Sky country with a Russian-immigrant mother and New England-patrician father, Ellen understands hard work, relative social isolation, and a life lived at the mercy of the weather and the price of grain. Traveling to college in Minnesota opens her eyes (and heart) to a wider world. Later, teaching eight pupils in a remote one-room school, her world expands even deeper as she’s tested by both natural and man-made circumstances. When a long-hidden family secret is revealed, she must grapple with seeing her parents not only as Dad and Mom, but as real people making their journey through life with a full load of baggage, just as she is. I recommend this novel especially to young women who are teetering on the threshold of adulthood, and to the adults who love them and who remember what it’s like to have your whole life stretched out before you, as vast and open and lacking in signposts as a field of hard winter wheat. What is your favorite coming-of-age story?